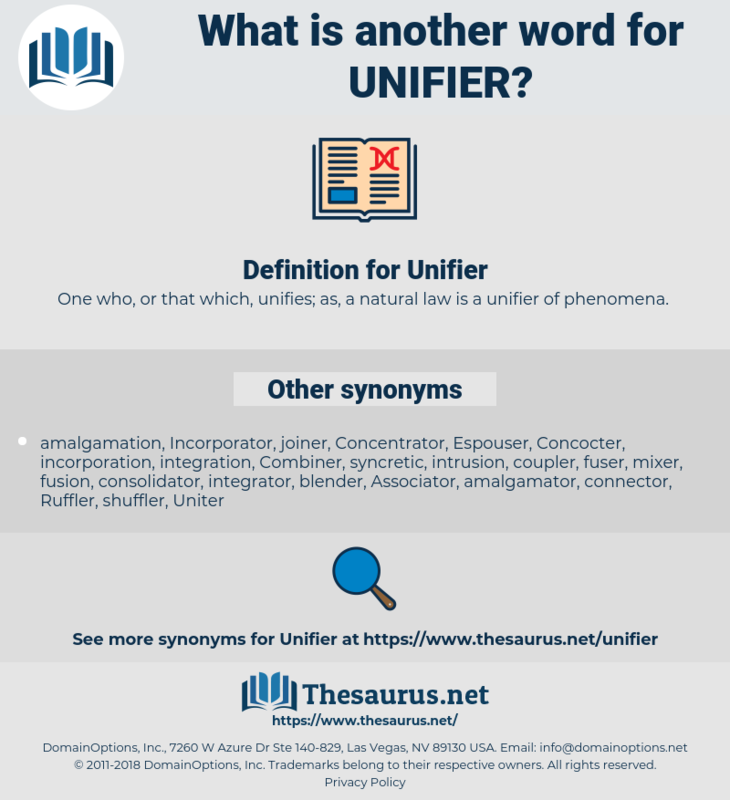 What is another word for Unifier? 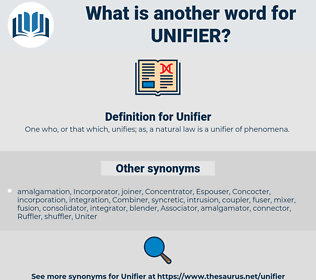 One who, or that which, unifies; as, a natural law is a unifier of phenomena. Nor will religion do as a unifier. What was needed right then was a unifier - somebody who could take command and coax or bully the scrapping factions into line.